China's 31 provinces, municipalities and autonomous regions have been set targets to reduce main air pollutants by 5 to 25 percent, in the country's latest effort to combat pollution. 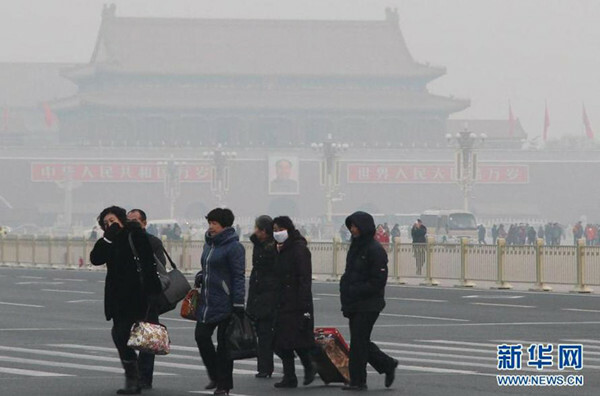 The other regions were ordered to cut their PM10 readings by 5 to 15 percent, with only Hainan and Yunnan provinces and Tibet Autonomous Region, where air pollution is relatively slight, given no specific goals but "continuous improvements" must be made. Meanwhile, the State Council, or China's Cabinet, is mulling a system to evaluate each provincial-level government's progress, and those failing to reach their goals will be named and shamed. They will have to provide explanations and make corrections.